Denuclearisation will be high on South Korean President Moon Jae-in's agenda when he meets with North Korean leader Kim Jong Un in Pyongyang this week, Moon's office said Monday. "We will push for North Korea's advanced denuclearisation and a reciprocal measure from the US by swiftly reviving sincere dialogue aimed at establishing new, peaceful relations," Moon's chief of staff Im Jong-seok told reporters. Moon, who met Kim twice this year, was instrumental in brokering the historic Singapore summit between US President Donald Trump and Kim in June, when Kim backed denuclearisation of the "Korean peninsula". Moon will become the third South Korean leader to visit Pyongyang and will hold at least two meetings with Kim, who may make a rare appearance at the airport to welcome his guests, the chief of staff said. He is also scheduled to attend a concert and visit key sites in the North's capital with his delegation, which includes tycoons Lee Jae-yong -- the heir to the Samsung group -- and the vice chairman of Hyundai Motor. 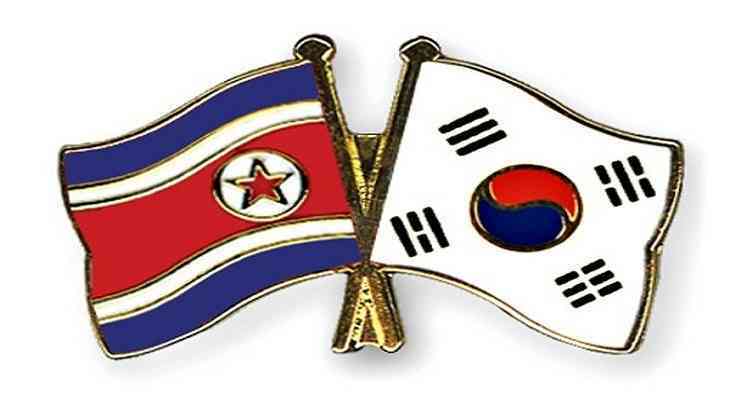 Moon has been pushing inter-Korean economic co-operation but several South Korean newspapers urged caution Monday, with the Korea Herald calling the businessmen's presence on the trip "untimely". Other issues on Moon's agenda will be improving inter-Korean ties and easing military tensions on the peninsula, which the South said could lay the ground for declaring a formal end to the 1950-53 Korean War, which ended with an armistice rather than a peace treaty. That suggested a declaration -- which Pyongyang has been pressing for strongly -- was unlikely during Moon's trip.